Wondering about paying taxes on sweepstakes prize wins? Sweeties Sweeps has a great article about Taxes on Prize Winnings. I recommend that everyone read it! The Kraft sweepstakes has ended, but everyone who won should be receiving their coupons in the mail for free Kraft cheese, Nabsico crackers, and Planters snack. I’ve got a new sweeps on my list with over 10,000 winners called Zagat’s The Perfect 30 Giveaway. Thanks to Sweeties Sweeps I learned about this new sweepstakes where chances are great that you can win a free 30-day membership to Zagat. They are the “most trusted guide to restaurants, nightlife, and hotels”. But you usually have to pay a membership fee to access their reviews – why not win one and try it out for FREE? I like to keep my daily entry sweepstakes list updated, and at the top of my “Sweepstakes” category. Just click on the black “Sweeps” button on the top menu bar to get to this list at any time. I usually try to play the sweeps first thing in the morning, and this is the list I use to play them from. Don’t have time to play all the daily sweeps? Then just pick one or two at the top of the list to play. The sweeps with the most prizes are the easiest ones to win. Let me know how I can help you remember to play the daily sweeps and win! My readers are my best source of information about new sweepstakes. Please email me if you find a new sweeps, I typically list those with at least 1,000 winners. You can easily get to this list simply by clicking on the “Sweeps” button in the top menu bar. Subscribe to Freebies 4 Mom and keep up with the free stuff! I just won a 30 day try to Zagat To Go for my blackberry! Thanks!! FYI…If you win the Pace Hand-Pick & Win game and your coupon does not print, send a EMAIL to them. I recieved a $3 and $1 coupon off any Pace, Swanson, Prego, Pepperage Farm or V8 product in the mail today!! Hi Heather,I just wanted you to know I received a fedex letter saying that I was one of the $2500 gas gift card winners in the Chevron Trivia Game!! I was excited when I received a $5 gift card from them a couple of weeks ago, so you can imagine my excitement to this news! Thank you so much for your website! 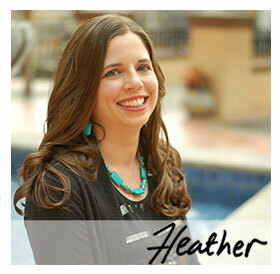 Hi Heather,I am new to your page and just started playing the sweeps. Today, I won an X-Box 360 from the Subway contest 🙂 Thank you for all of the useful info! Does anyone know about how long this type of prize usually takes to come? My little boy is really excited. I won the Shutterfly 30 free prints on the Pampers Winter Match game last night. I got my Kraft coupons this week. Kind of odd that it said you’d get $15 worth of products, but their max face value for the coupons they sent was a little over $13. But I won’t complain. It’s free. I received a $5 gift card from Chevron in the mail today from the Chevron Trivia game! 🙂 Every lil bit helps!! Is anyone having trouble getting the alternate method of entry in the Stouffer’s sweep to work? I’ve been using it for the last month and now it is only giving me the option to use points…. I won the Kraft sweeps, I was so excited, I never win anything. This morning I won an Amazon digital gift card for $10. You are awesome. Thank you so much. I just wanted to let you know I recieved my Wii yesterday from the Red Baron instant win!!! I won Kraft coupons twice. I love you, Heather!Yeah, still trying to get some free Salsa too. Salsa is my main food group, no kidding. Yeah…I just won print from Shutterfly on the Pampers site using alternate entry!!!! @ Anonymous – Oops! It’s corrected now. Thanks for pointing that out! FYI… The Pampers game says it has over 3,700 Prizes, NOT 37,000. @ Jessica – That’s weird… the link for the Combos was working… try again later. Maybe it’s just a glitch on their end. I can’t get the Combos one to work for some reason…I did get my Kraft coupons in the mail yesterday! Thanks! I still haven’t won a jar of salsa, though!